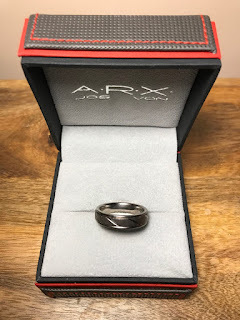 I was recently approached by the team at Jos Von Arx to help spread word about the launch of the new ARX Men jewellery collection - Jewellery for men designed to express your personal style. I received a ring and a bracelet from their new range to aid my review, and also a leather and steel bracelet as part of a giveaway. 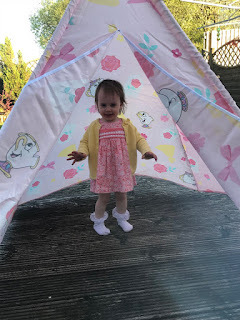 Mara was most excited when her godfather Stuart, who heads up their UK office, dropped by with the jewellery boxes. Unfortunately she was quite disappointed when she found out she was getting nowhere near them. This cool stuff was for me and not for sticky fingers. 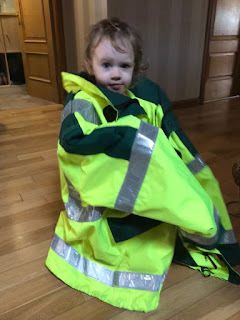 Just because I'm a dad now doesn't mean I can't be stylish! 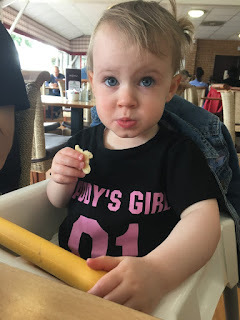 I may be covered in jam, cheese and tears (sometimes Mara's, sometimes my own) but stylish nonetheless. Firstly, here's a bit of history about the company. Jos Von Arx began in 1995 when the brand was first registered by a leader in the jewellery and timepieces industry. They have more than 25 years of experience in designing and manufacturing products for many European watch and accessory brands. 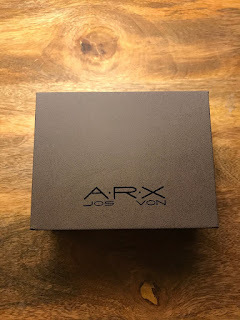 The Jos Von Arx brand was created from a desire to devise a brand which ultimately addresses the needs and wants of men. 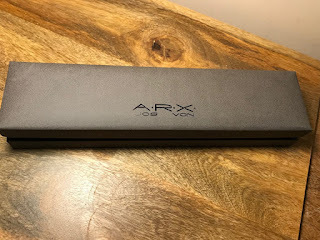 They believe that men should be entitled to high quality accessories and gifts and that luxury should be accessible to everyone without having to compromise on quality. Quality is the first priority for their products, ensuring the finest materials are sourced and constant attention is paid to every detail of the production process. The ring I received is expertly made from extremely hard, but light, highly polished, high quality titanium. It has an etched centre piece, with an added diamond cut score design. 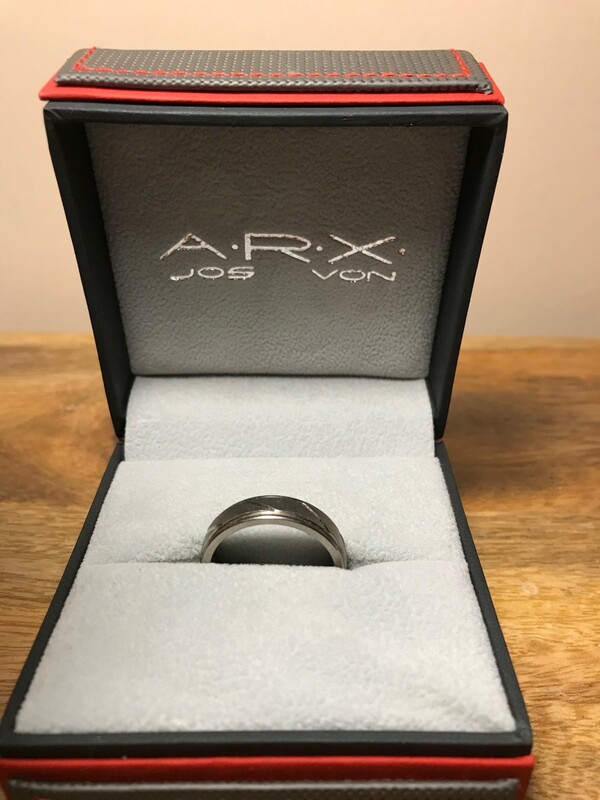 On the inside of the ring it is stamped with the Jos Von Arx logo and is smoothly finished to ensure a comfortable fit. The dark tones in the bracelet really bring out the bags under my eyes. Be sure to visit their website - http://www.josvonarxshop.com/ to view their full range of beautiful products. There's something there for every fashion conscious, trend-setting man in your life. From watches, bracelets, necklaces & cuff links to golf sets and executive pens to name a few of their items. On to the giveaway now! I have a Stainless Steel and leather adjustable bracelet, inclusive of Jos Von Arx patent pending adjustable "Flexisize" clasp. 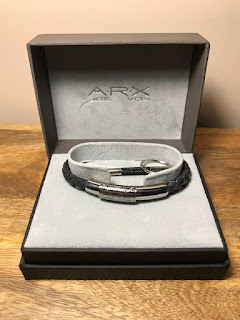 This allows the bracelet to be re-sized so that one size can fit all. 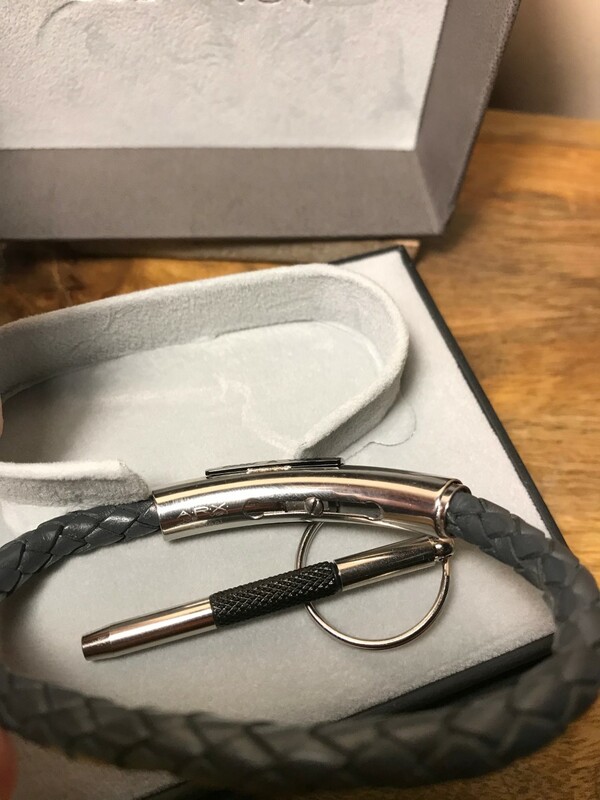 It is presented in one of their classy gift boxes and comes with a key chain screwdriver to adjust the bracelet size whenever the need may arise. RRP is £62.99. 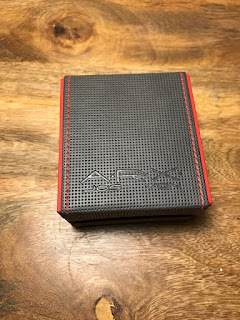 Should you win the giveaway it would make a great Christmas gift for a loved one. The winner will be selected at random and notified by myself. 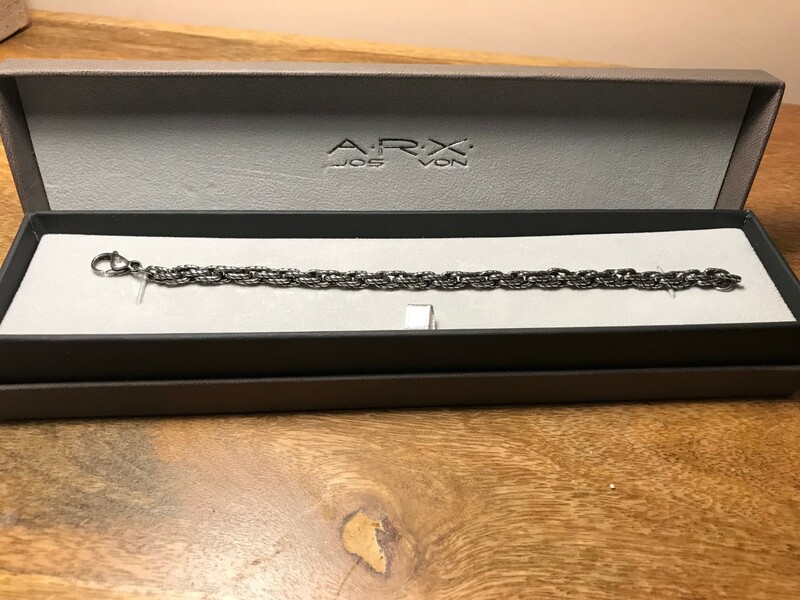 Once you have heard from me, then and only then will I ask for your address so I can send your bracelet.